Replaces damaged or missing bar armour and other RPG Protection Systems. 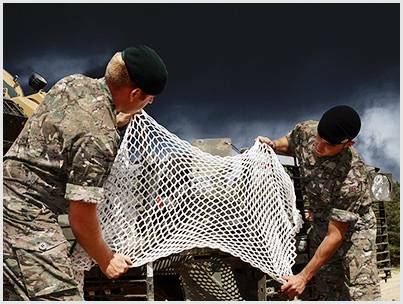 Tarian® QuickShield™ is our lightweight RPG armour net that replaces damaged or missing bar armour and other RPG Protection Systems, enabling vehicles to be instantly repaired. The kit is easily stowed in any vehicle, and when needed, the crew can immediately fit it. 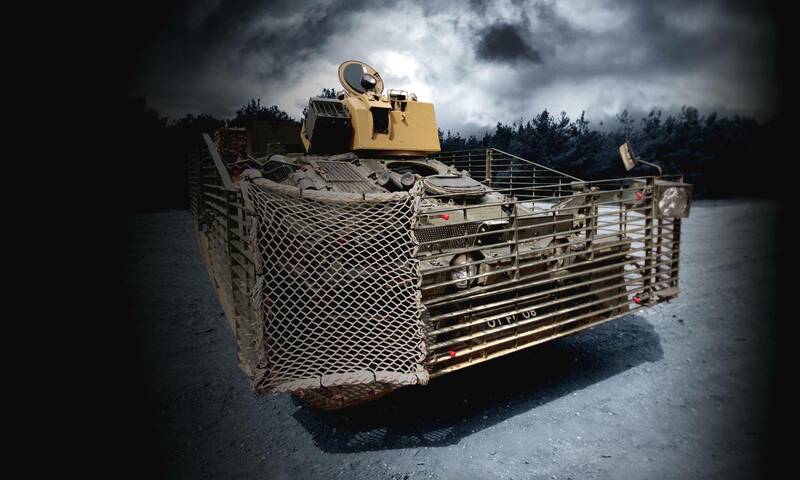 Tarian® QuickShield™ ensures vehicles and crew remain protected against RPG threats with no disruption to their mission and allows inactive vehicles are waiting for bar/slat armour repairs to be immediately returned to operational service.